In 1455 Ottoman army had conquered Prizren. 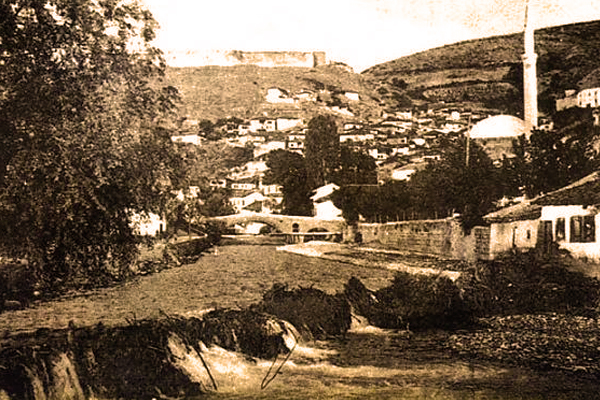 Prizren was the capital of the Sanjak of Prizren, and under new administrative organization of Ottoman Empire it became capital of the Vilayet. This included the city of Tetova. That time this open mosque had built. 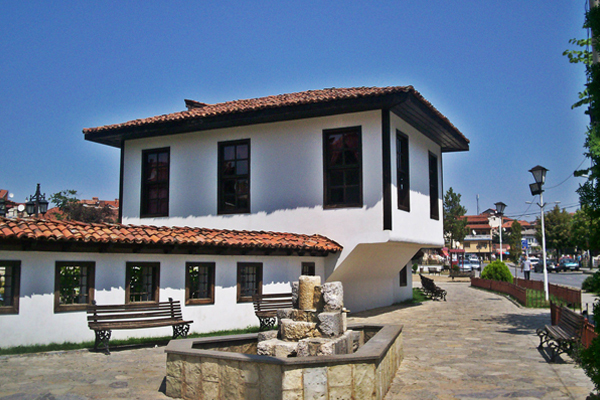 It is the first work of Ottoman architecture in Prizren. In recent years, has undergone serious repair and renovation. 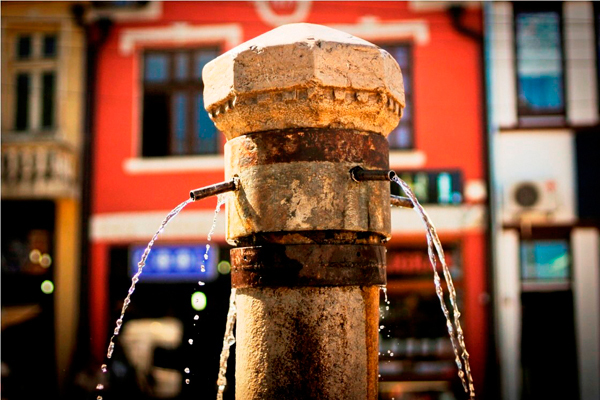 Marino Bizzi, the Archbishop of Bar (Antivari), in his 1610 report stated that Prizren had 8.600 large houses and that it was irrigated by many sources of flowing water, like fountains. 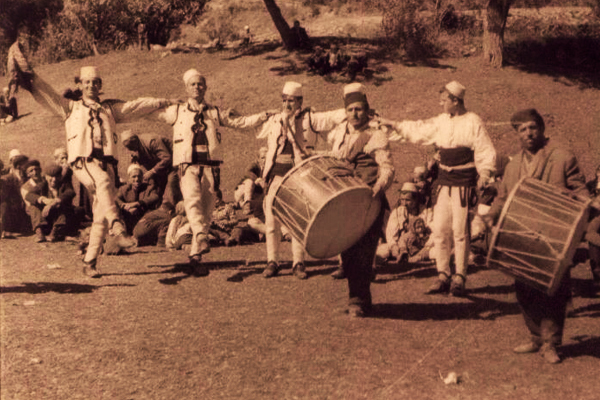 He recorded that the population of Prizren spoke the Dalmatian language, although some part of the Sanjak of Prizren penetrates into Albania, which population speak its own language. Later it became a part of the Ottoman province of Rumelia. It was a prosperous trade city, benefiting from its position on the north-south and east-west trade routes across the Empire. 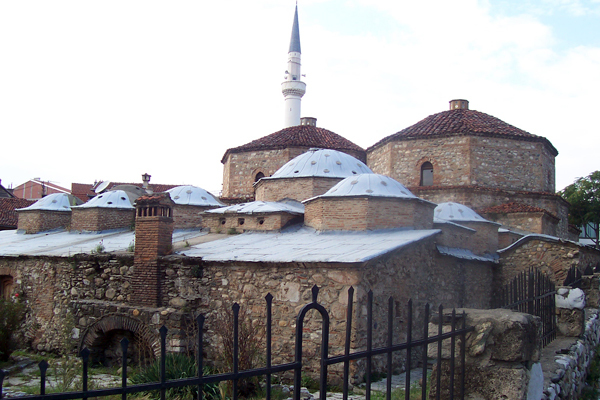 Prizren became one of the larger cities of the Ottomans' Kosovo Province (vilayet). 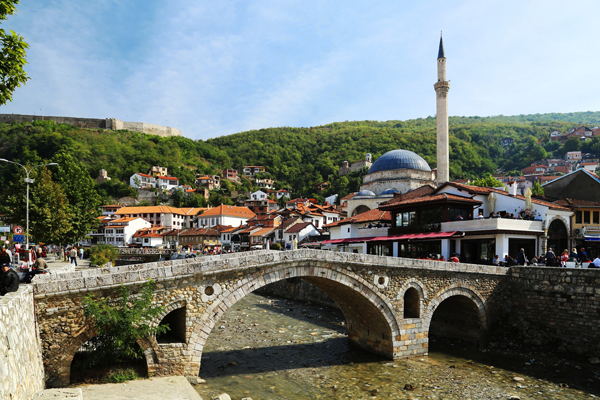 Prizren was the cultural and intellectual centre of Ottoman Kosovo. It was dominated by its Muslim population, who composed over 70% of its population in 1857. 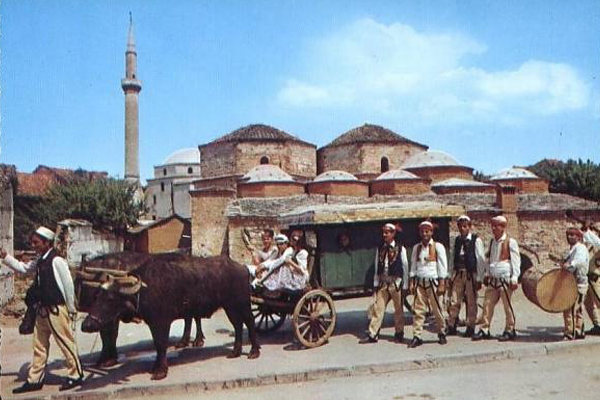 The city became the biggest Albanian cultural centre and the coordination political and cultural capital of the Kosovar Albanians. In 1871, a long Serbian seminary was opened in Prizren, discussing the possible joining of the old Serbia's territories with the Principality of Serbia. 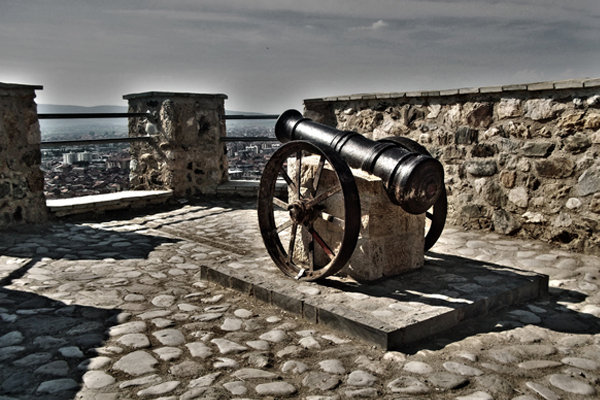 During the First Balkan War the city was seized by the Serbian army and incorporated into the Kingdom of Serbia. 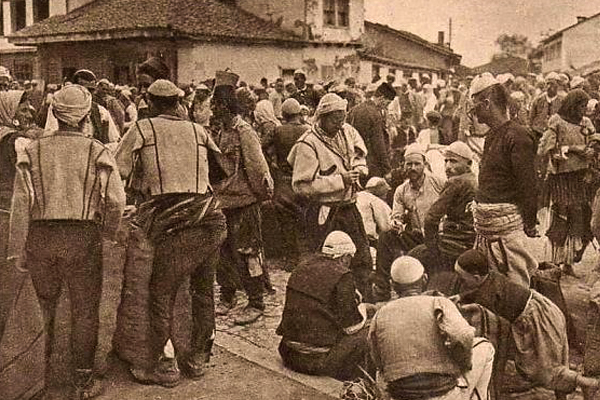 After the Serbian army achieved control over the city of Prizren, it imposed a repressive measures against the civilian population. Serbian detachments breaking into the houses, plundering, making violence and killing indiscriminately. Around 400 people were "eradicated" in the first days of the Serbian military administration. Bodies were lying everywhere on the streets. 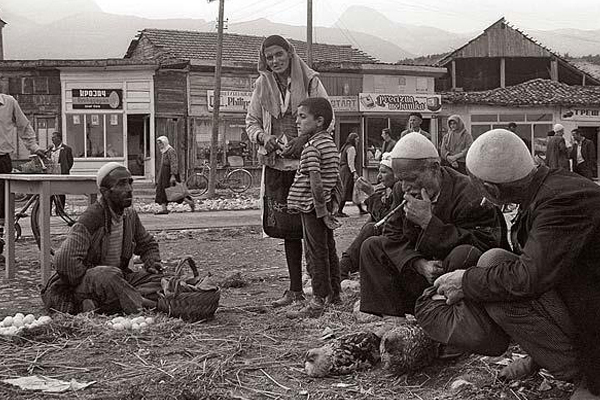 According to witnesses, these days around Prizren were about 1,500 corpses of Albanians. 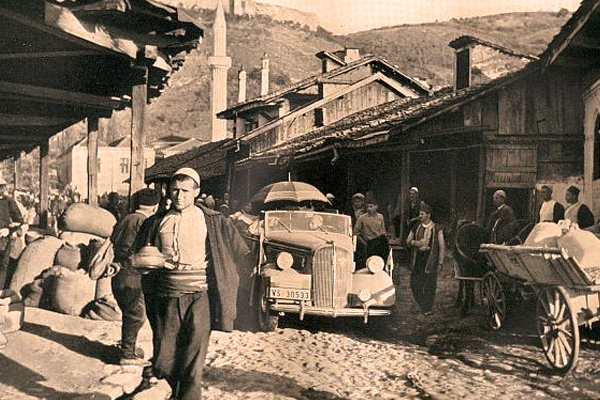 Foreign reporters were not allowed to go to Prizren.The British traveler Edith Durham attempted to visit it shortly afterward but was barred by the authorities, as were most other foreigners, for the Montenegrin forces temporarily closed the city before full control was restored. A few visitors did make it through including Leon Trotsky, then working as a war correspondent—and reports eventually emerged of widespread killings of Albanians. One of the most vivid accounts was provided by the Catholic Archbishop of Skopje, who wrote an impassioned dispatch to the Pope on the dire conditions in Prizren immediately after its capture by Serbia: "The town resembles the kingdom of death. They knock at the doors of Albanian homes, take the men out and shoot them right away, simply because they are Albanians." It is estimated that 5.000 Albanians were massacred in the area of Prizren.